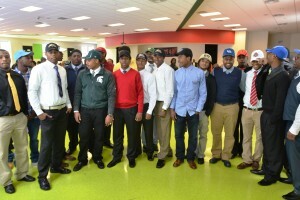 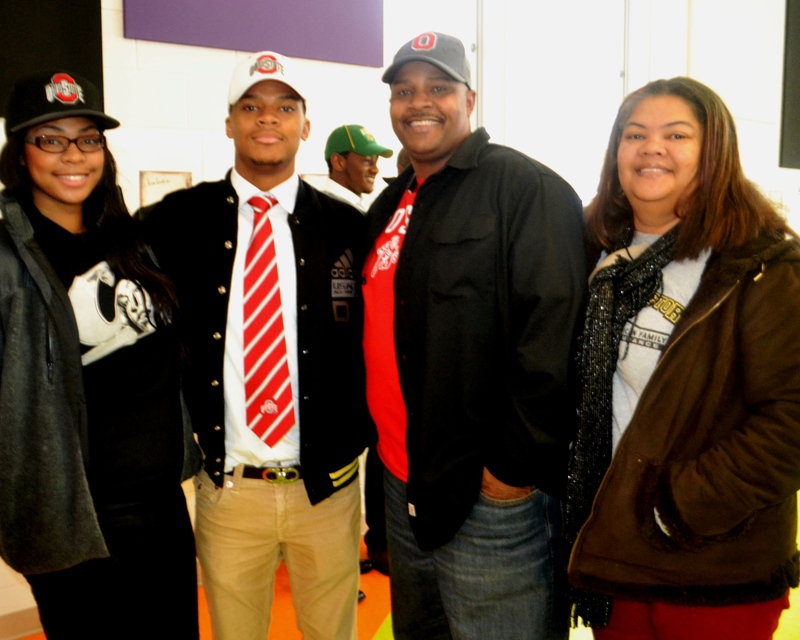 A full-house gathering of parents, coaches, supporters and college-bound Class of 2014 student-athletes braved the hazardous weather to attend the Detroit Public School League’s college football National Letter of Intent Signing Day program Wednesday at Marcus Garvey Academy Harambee Center. 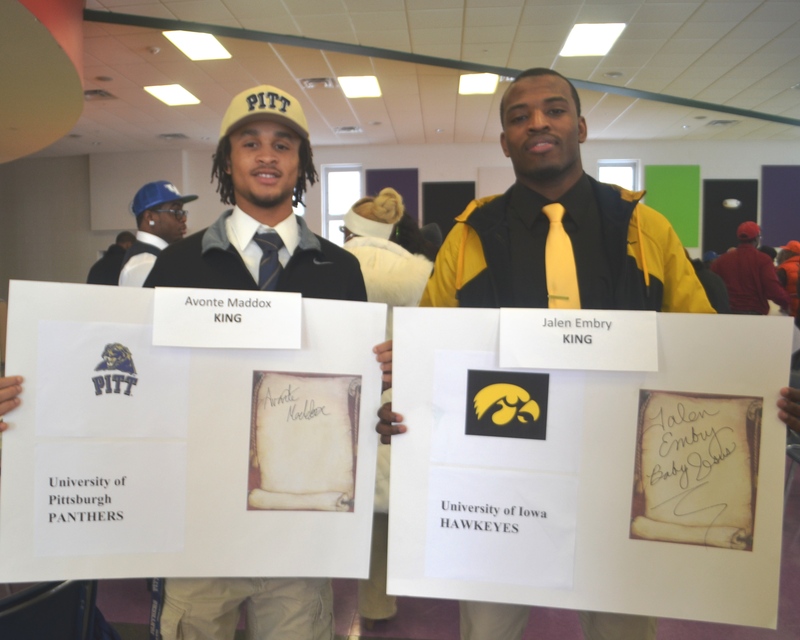 The media recognition event included the individual introductions of 21 graduating PSL football players, who each ceremoniously signed a poster bearing the name and mascot of their chosen colleges before posing for congratulatory pictures and taking questions from the media. Cass Tech, the 2013 PSL football champions and a Division 1 state semifinalist, had the lion’s share of college scholarship recipients with 14, while King had three, Renaissance two and East English Village and Western International one each. 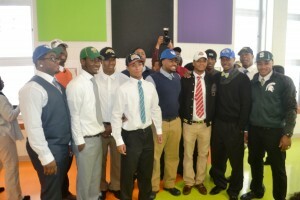 For photos from Wednesday’s event, click this link https://www.facebook.com/media/set/?set=a.10151935715686099.1073742002.343538741098&type=1&l=6daffdf6dfand check out the Detroit Public School League page on Facebook!